On Sale Now! 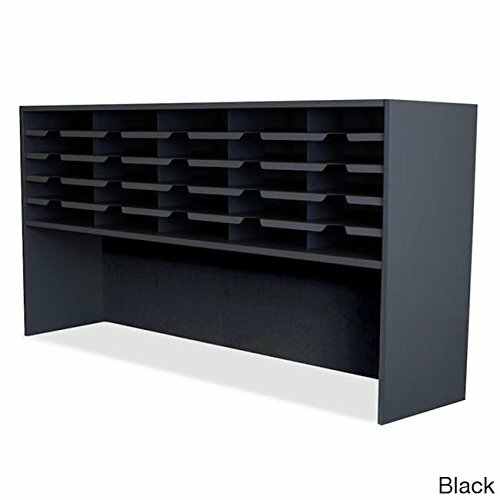 Save 2% on the Mailroom 20 Pocket Sorter/Riser Finish: Black by Marvel at Momiji Studios. MPN: UTBRF4832/BK. Hurry! Limited time offer. Offer valid only while supplies last. UTBRF4832/BK Finish: Black Features: -Mailroom collection. -Material: Steel. -Powdercoat paint finish. -Fixed pockets. -Greenguard Gold Certified. UTBRF4832/BK Finish: Black Features: -Mailroom collection. -Material: Steel. -Powdercoat paint finish. -Fixed pockets. -Greenguard Gold Certified. -Manufacturer provides lifetime warranty. Number Of Compartments: -20. Country of Manufacture: -United States. Product Type: -Mailroom organizer. Dimensions: Overall Height - Top to Bottom: -32". Overall Width - Side to Side: -48". Overall Depth - Front to Back: -14". Overall Product Weight: -65 lbs.